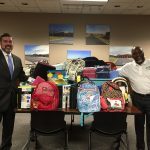 Greenwood, S.C.; August 17, 2018 – Eighth Circuit Solicitor David M. Stumbo continued the tradition of donating school supplies to each school district within the 8th Circuit, which is comprised of Abbeville, Greenwood, Laurens, and Newberry counties. The supplies are collected from participants in diversion programs, such as Pretrial Intervention, or PTI, and Alcohol Education Program. 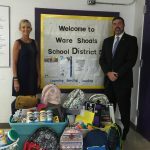 Participants in the diversion programs can elect to donate school supplies in lieu of a portion of their community service hours. Each year, millions of school children across the nation arrive at school without the supplies they need to learn effectively. 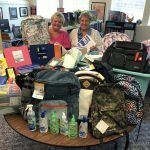 According to recent research conducted by Kids in Need Foundation, a nonprofit organization whose stated mission is to provide school supplies for needy children, having access to school supplies led to significant increases in participation, social interaction, homework completion, and self-esteem. 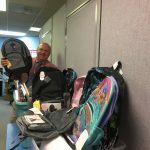 According to Solicitor Stumbo, the school supply donations are at the very heart of his office’s mission. Newberry, S.C.; August 10, 2018 – Eighth Circuit Solicitor David M. Stumbo announced Friday that a Prosperity man will spend the rest of his life in prison after being convicted of the 2017 killing of his estranged girlfriend. Clifton Boozer, 40, was found guilty of murder Friday afternoon by a Newberry County jury following a week-long trial at the Newberry County Courthouse. Circuit Judge Frank Addy Jr. then handed down a sentence of life without the possibility of parole. During the early morning hours of May 3, 2017, Boozer had a cab drop him off at the Prosperity home of his estranged girlfriend, 35-year-old Clatie Stribble. Boozer lay in wait until Stribble’s three children left for school then forced himself into the residence. Once inside the home, Boozer assaulted Stribble, stabbing her in the neck before strangling her to death. Boozer called 911 and reported the incident. He later gave a statement to law enforcement, but claimed during trial that he acted in self-defense. The jury disagreed and found Boozer guilty of murder. Boozer and Stribble had sustained an on again, off again relationship for six years before Boozer committed the murder. He had two prior convictions for criminal domestic violence, with Stribble being the victim on one of the convictions. Stribble also had an order of protection against Boozer, though she continued to see Boozer periodically. 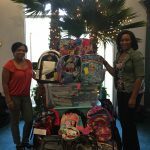 Deputy Solicitor Dale Scott and Assistant Solicitor Taylor Daniel handled the case for the state, with assistance from 8th Circuit Investigator Walter Bentley and 8th Circuit Victim Advocate Rhetta Christian. 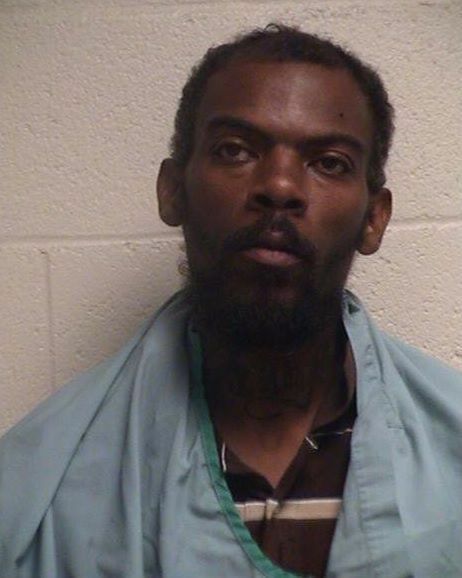 Boozer was represented by Newberry County Public Defender Charles Verner. Solicitor Stumbo praised the work of his staff and particularly of Lt. Harry Bodiford of the Prosperity Police Department, who was both the first responding officer to the scene and the lead investigator on the case. 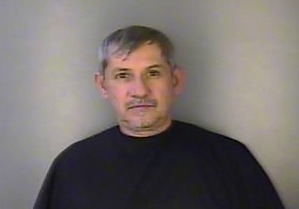 Laurens, S.C.; August 3, 2018 – Eighth Circuit Solicitor David M. Stumbo announced Friday that a child molester will spend the next 40 years behind bars after being convicted Friday afternoon by a Laurens County jury. 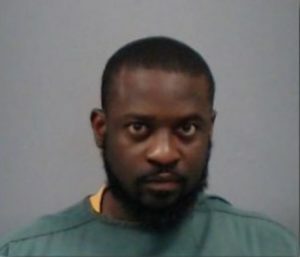 Michael Cliff Eubanks, 32, of Clinton, was found guilty of one count each of first-degree criminal sexual conduct with a minor, second-degree criminal sexual conduct with a minor, and third-degree criminal sexual conduct with a minor following a four-day trial at the Laurens County Courthouse. 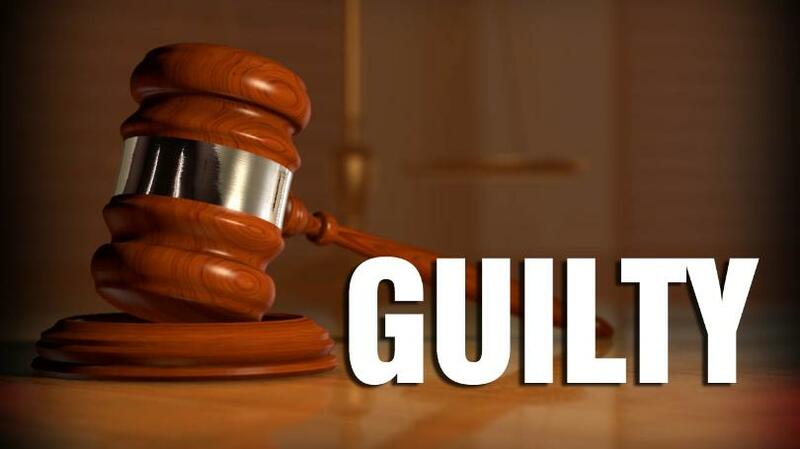 Following the verdict, Circuit Judge Frank Addy Jr. immediately sentenced Eubanks to 25 years in prison on the charge of first-degree criminal sexual conduct with a minor, plus a consecutive 15-year suspended sentence on the charge of second-degree criminal sexual conduct with a minor. Judge Addy also sentenced Eubanks to 15 years in prison on charge of third-degree criminal sexual conduct with a minor, with that sentence to run concurrently. 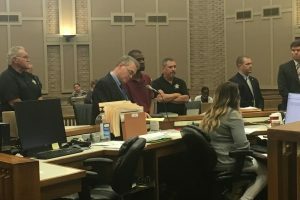 Eubanks was sentenced to an additional five years of probation to start when his active, no-parole prison sentence is maxed out. 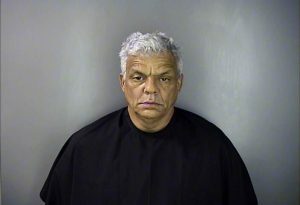 Over a six-year period, Eubanks repeatedly assaulted a girl under the age of 13. The victim came forward about the abuse in June of 2017. Deputy Solicitor Dale Scott and Assistant Solicitor Julie Kate Keeney handled the case for the state with assistance from 8th Circuit Investigator Walter Bentley and Victim Advocate Rhetta Christian. Eubanks was represented by Rauch Wise of Greenwood. Solicitor Stumbo praised the work of his staff along with Inv. Jared Hunnicutt and Inv. Michael Polson of the Laurens County Sheriff’s Office and Kim Little of Gilchrist Consultation and Counseling in securing the conviction and lengthy prison sentence. Demorris Andrews stands in court following his conviction on three charges related to the 2016 shooting death of 57-year-old Barry Warren. Greenwood, S.C.; July 20, 2018 – Eighth Circuit Solicitor David M. Stumbo announced Friday that a Greenwood man was sentenced to 40 years in prison for the 2016 killing of a man he called a friend. 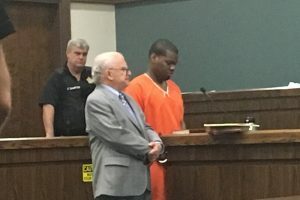 Demorris Ocswavia Andrews, 27, was found guilty of murder, armed robbery, and possession of a weapon during the commission of a violent crime in connection to the 2016 shooting death of 57-year-old Barry Warren. 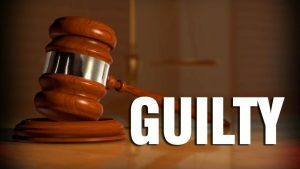 A Greenwood County jury deliberated for nearly seven hours across two days before returning the guilty verdicts. 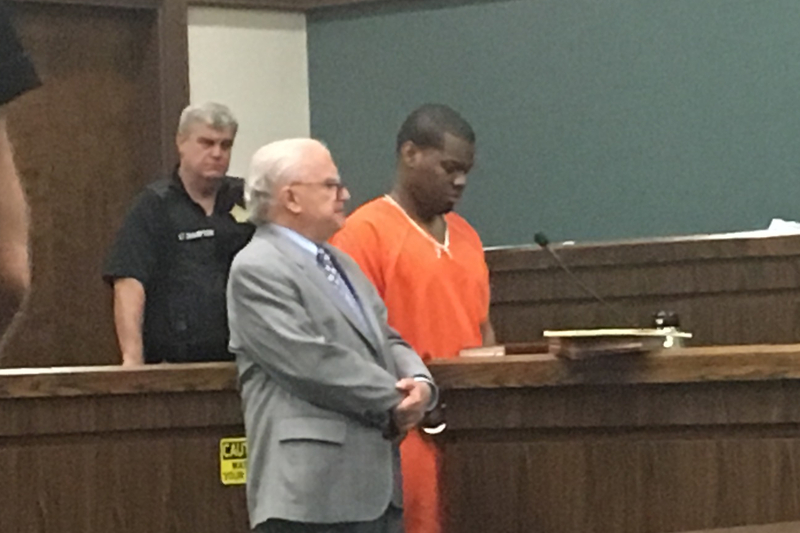 Circuit Judge Frank Addy Jr. then sentenced Andrews to 35 years in prison on the murder charge, 30 years in prison on the armed robbery charge, and five years in prison on the possession of a weapon during the commission of a violent crime charge. The sentences on the murder and armed robbery charges will be served concurrently, while the sentence on the possession of a weapon during the commission of a violent crime charge will run consecutively. The sentence on the murder charge must be served day-for-day according to state law. On October 25, 2016 Andrews went to Warren’s home to rob Warren of drugs and money and shot Warren two times, killing Warren. 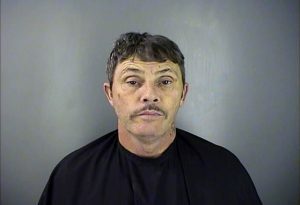 Multiple witnesses placed Andrews at the scene of the crime and one witness, a former cellmate of Andrews, testified that Andrews confessed to the two were incarcerated together at the Greenwood County Detention Center. During one interview with police, Andrews asked for an autopsy photograph of the victim to hang on his wall. 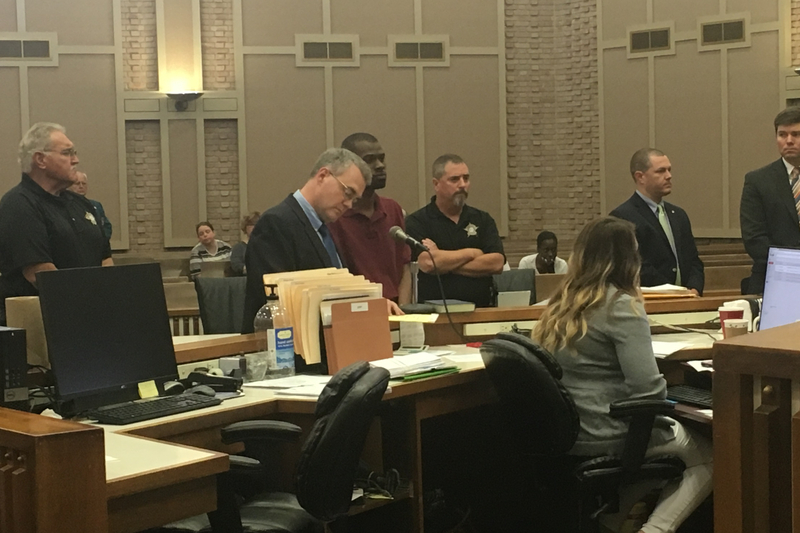 Assistant Solicitor and Violent Crimes Prosecutor Josh Thomas and Deputy Solicitor Yates Brown handled the case for the state, with assistance from 8th Circuit Investigator Courtney Smith and Victim Advocate’s Mary Ann Stroup and Sarah Parris. Solicitor Stumbo praised the work of his staff, along with Sgt. Blake Moore, Sgt. Matt Blackwell, and Sgt. Wesley McClinton, and former detective Joe Collins of the Greenwood Police Department, for their work in securing the conviction and lengthy prison sentence. Greenwood, S.C.; June 15, 2018 – Eighth Circuit Solicitor David M. Stumbo announced Friday that a Greenwood County meth cook was sentenced to 15 years in prison after entering a guilty plea just moments before jury selection was to begin in his trial. William Robert Richardson Sr., 47, changed his plea to guilty Thursday morning just as prosecutors and defense attorneys were ready to begin the process of selecting a jury in his trial. Richardson pleaded guilty to manufacturing methamphetamine, first offense, and threw himself on the mercy of the court. He was initially charged with manufacturing methamphetamine, third offense. Circuit Judge Donald Hocker then sentenced Richardson to 15 years in prison, the maximum sentence allowed under state law for the crime. On April 7, 2017, the Greenwood Drug Enforcement Unit executed a search warrant at a residence located in the Greenwood Mill Village. Inside the home was the defendant and his wife. Agents located an active one-pot meth lab as well as all the necessary items to make meth. Agents also located empty bottles with meth sludge indicating additional meth had recently been made, along with additional items used to manufacture meth in the garage of the home. Assistant Solicitors Wade Dowtin and Julie Kate Keeney handled the case for the state. 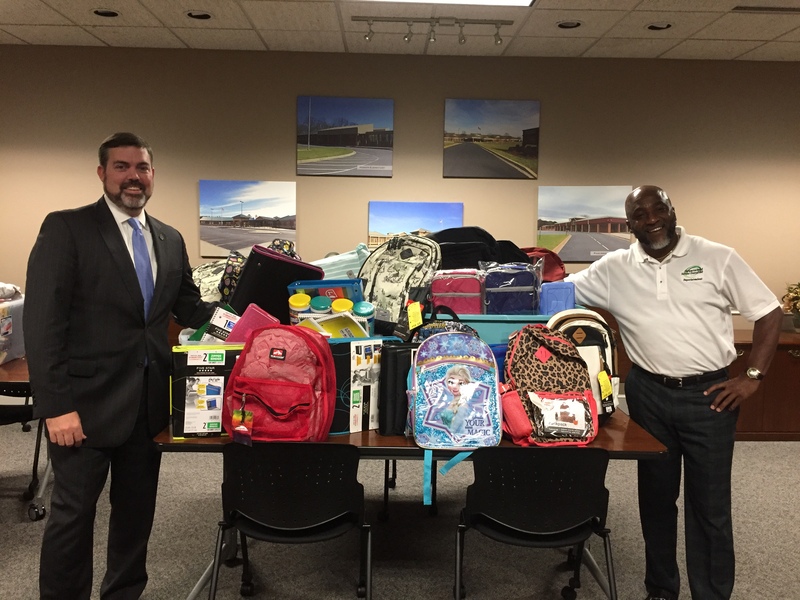 Richardson was represented by Ivan Toney of the Greenville County Bar. Solicitor Stumbo praised the work of his staff along with Lt. Jaime Lovett, Sgt. Dyar Archibald, Agent Wesley McClinton and former agent Bryan Louis of DEU in securing the conviction and lengthy prison sentence. 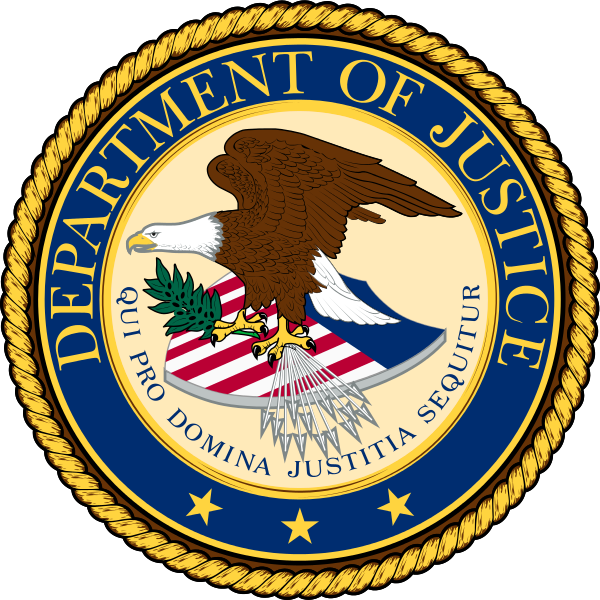 Greenwood, S.C.; June 15, 2018 – Eighth Circuit Solicitor David M. Stumbo announced Friday that a Greenwood man was sentenced to 18 years in prison after being convicted of a 2016 bank robbery. A Greenwood County jury needed just 13 minutes to deliberate and return a guilty verdict on Thomas Allen Smith, 53, for the 2016 armed robbery of the South State Bank located at 1224 Bypass 72 NE. Circuit Judge Donald Hocker then handed down an 18-year prison sentence to Smith. On February 18, 2016, a male subject later identified as Smith entered the South State Bank wearing blue overalls with a dark colored hoodie underneath and sunglasses. The armed robber approached the teller in the bank and handed her a note that said he had a bomb and that she was to give him all the money. The teller did what she was told and gave the armed robber what money she had in her drawer at the time, $2,330, and placed the money in a blue bank bag that he brought in with him. The bank bag is where the alleged bomb was located. Once the armed robber had the money, he took the note and left the bank. He fled on foot and then got in a white Volkswagen Passat fleeing the scene. A picture of the suspect and the white vehicle were posted in the local media and approximately four hours after the incident occurred, a tip was called in that the subject had recently purchased the vehicle used in the armed robbery from Ballentine Ford. The name of Thomas Allen Smith was given as the customer who bought the vehicle and his address was 407 E. Northside Drive, Greenwood. A search of his home revealed the white Volkswagen Passat, the blue overalls, dark colored hoodie, sunglasses and a fresh burn pile. However, Thomas Allen Smith was not located at the home. A former employer of Thomas Allen Smith viewed the bank surveillance video and was able to positively identify Smith as the armed robber. The investigation continued and two days later an anonymous caller gave a tip that the armed robber was seen at the Lil Cricket on Bypass 72. The tipster believed Smith to be at the America’s Best Value Hotel under another name. The Greenwood County SWAT team responded and took Smith into custody. Deputy Solicitor Yates Brown and Assistant Solicitor Micah Black prosecuted the case for the state with the assistance of 8th Circuit Investigator Chris Wilkie. Smith was represented by Carson Henderson of the Greenwood County Bar. 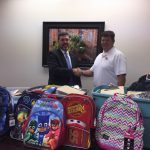 Solicitor Stumbo praised the work of his staff along with Capt. Mitchell McAlister, Lt. Mike Dixon, Lt. Jaime Lovett, Sgt. Blake Moore, Sgt. William Kay, and Sr. Master Patrolman Wesley McClinton of the Greenwood Police Department, along with Lt. Josh Hood and Det. Whitfield Brooks of the Greenwood County Sheriff’s Office in securing the conviction.